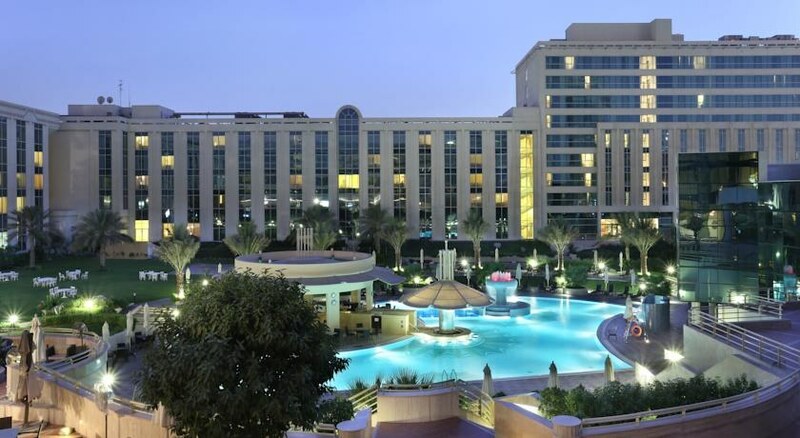 Enjoy an incredible stay at Middle East’s Leading Airport Hotel, winner of the World Travel Awards 2015. Be at the center of Dubai’s pulsating cultural scene. 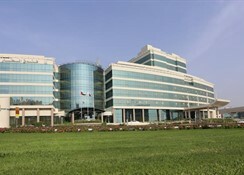 Conveniently located near the Dubai International Airport, exploring the city is also simple. Enjoy easy access to major central business and historic districts (Bastakiya and Sheikh Saeed Al Maktoum Heritage House), tourist spots (Gold Souk), shopping centers, and entertainment hub. Whether you're here for business or leisure, bask in the elegant design of the hotel. It combines elements of tradition with contemporary styling to create a luxurious ambiance unlike many others. The 341 guest rooms combines comfort and style with every rooms featuring outstanding luxury amenities and boast fabulous views of Dubai’s striking skyline and the landscape garden. Take a dip in our Oasis pool, work out at our 24-hour-fitness center, or savor some of the best world cuisines in our restaurants and bars. Our state-of-the-art Business Center makes work convenient, with conference facilities that are sure to set your events up for success. More space (40 sqm) for greater comfort. Wall-to-ceiling windows brighten up this airy room, with great views of the city or swimming pool for you to wake up to. One extra-large bed or two single beds. 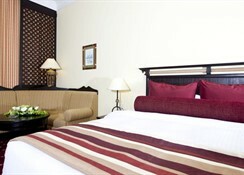 A beautifully-furnished room with great amenities, 46 sqm of space, and great views of the city or pool. Relax in your sitting area with a newspaper, or enjoy a family dinner in your dining area. You'll immediately feel at home in this cosy 38 sqm room, overlooking one of the busiest airports in the world Reply to e-mails at your executive working desk, unwind with a movie, or just sit back and relax in the comfort of your plush bed. One extra-large bed or two single beds. A spacious 80 sqm room with stylish finishings. Catch up with work at your executive working desk, or relax in your bath tub and recover from your jet lag. 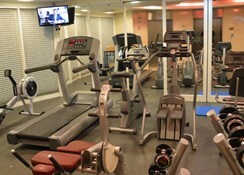 Along with 5 restaurants, this hotel has an outdoor pool and a 24-hour fitness center. Free valet parking, a free airport shuttle, and a free beach shuttle are also provided. 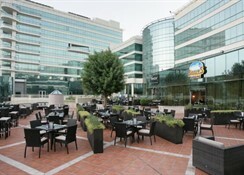 Additionally, a bar/lounge, a poolside bar, and a 24-hour business center are onsite. 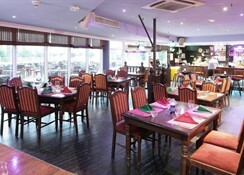 Dubai’s favourite British pub for over 20 years, popular for its excellent food, live entertainment and Friday brunch. This award winning British bar decorated in WWII aviation-themed memorabilia is not only an ideal venue for night entertainment but also a sports pub with over 15 screens and private booths for ultimate viewing of your favourite sport. Seating both indoors and on the terrace with stunning views over the gardens and the pool. 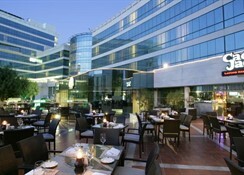 Located in Deira, this hotel is within 3 mi (5 km) of Dubai Tennis Stadium, Deira City Centre, and Dubai Creek. Dubai Festival City Mall is 2.8 mi (4.5 km) away. The hotel swimming pool will be closed temporarily from 10th March - 20th March 2018, for routine maintenance; during the said period alternative option is made available at the Copthrone Hotel Dubai.